Investing in new equipment, machinery or upgrades is part of running a business. Your company’s productivity, profit margins, and bottom line depend on it. But purchasing new equipment can also put a strain on budgets for small to mid-sized businesses. In many cases, specialized machines and equipment require a significant investment up front and the return on investment can take months or years to materialize. However, that doesn’t mean that you need to choose between operational improvements and profitability. In many cases, financing equipment makes more sense than delaying the purchase. Financing to make the purchase sooner, instead of putting it off, can be the sound choice for your business. Here are some scenarios when spending on new equipment can be the right business and financial decision. Outdated machinery eventually becomes a waste of time and money. Technology outpaces old equipment and buying a newer model or completely different type of machine is necessary to keep up with productivity, demand, and output. In a worst-case scenario, if you’ve waited too long to replace them, equipment and machines that you’ve relied on for years or decades can become obsolete, leaving you unable to meet workflow and production demands. Older machines also tend to break down and require time out for repairs. Not only can the maintenance process be expensive, but productivity plummets every minute the machine isn’t working. To avoid this situation, be honest about how much your older equipment is really costing you. Take a look at factors like the age of your machinery, production levels, and frequency of needed repairs. This will help you analyze the benefit of a new machine versus what you currently use. Then revisit this analysis on a regular basis. If it seems like a new machine will boost efficiency by just a few percentage points, it may not be worth it to spend the time and money installing it. If the machine provides the ability to greatly increase productivity, though, the investment will quickly show its value. If it takes more than a few business cycles for that machinery to start paying for itself, then financing the purchase can keep your cash flow positive and increase your output. Employee and customer safety is always a high priority, no matter what type of business you run. 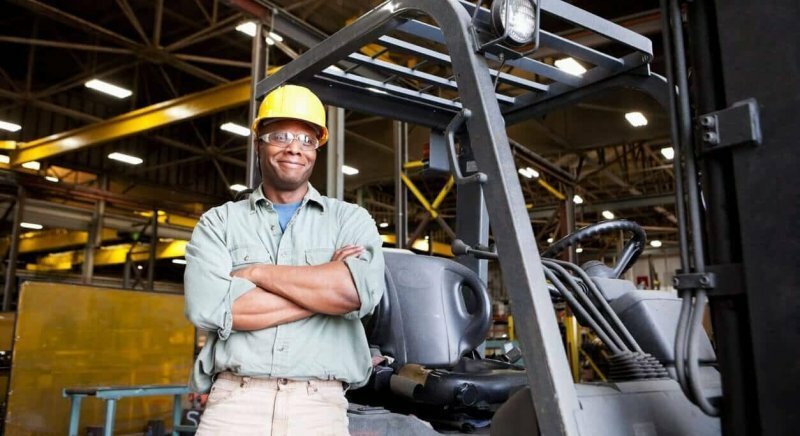 If your business owns or uses equipment that poses a risk to your workers or customers, then it’s definitely time to fix that problem with better machinery. In these cases, even if your projections don’t show a huge increase in productivity, the cost savings of reducing or preventing injuries, lawsuits, and time-loss accidents are probably worth the investment. Safety upgrades are a necessary business expense. That doesn’t mean they will always be convenient or won’t cause occasional financial strain. If you have the cash on hand for new equipment, it’s worth spending the money right away. If cash flow is tight, then financing equipment can save you a lot more pain down the road. Leasing equipment might be an attractive option when your business is just getting started, but as the business matures, it may end up costing you more than it’s saving. The reason is that you don’t own the equipment you’re using, so those lease payments you make are gone forever. While there might be a marginal increase in operating costs associated with repairs when you own your own machinery, the investment ultimately stays in-house. If and when your business outgrows a machine you own, you can leverage the retail value to help defer the cost of new equipment. In other words: you can sell it! Financing the cost of machinery means that you can eventually own the equipment, while still taking advantage of fixed monthly payments. Start with a cost-benefit analysis and a detailed review of your short and long-term operational needs and profit goals to figure out if leasing equipment makes sense for your business in the long run. In these scenarios, financing new equipment can make good business sense. The common thread between all of these examples is the amount of money you stand to save in the long term by taking on a smaller amount of debt in the short term. Every business is different, but it’s usually possible to figure out how much your financing will cost you over time, and compare it with how much you will gain in improved productivity or sales thanks to your new, upgraded equipment. This guest article was contributed by Irene Malatesta of Fundbox. Fundbox and its affiliates do not provide tax, legal or accounting advice. This material has been prepared for informational purposes only, and is not intended to provide, and should not be relied on for, tax, legal or accounting advice. You should consult your own tax, legal and accounting advisors before engaging in any transaction.